I was seven years old when I first cheated in 1993’s classic “DOOM.” The game came on a floppy drive, and the label said “DOOM – IDDQDIDKFA”. It took me a while to realize the string of letters was actually two separate cheat codes: IDDQD for invulnerability, IDKFA for every key, weapon, and ammo. With the two cheat codes, I ran through the levels causing mayhem. I had a blast. Many of my favorite childhood games I learned using cheat codes. I spawned photon laser troopers amidst Greek armies in “Age of Empires.” I cheated to reveal the map of Starcraft so I could study what the AI did, as the level of English I needed to understand the tutorials would elude me for another year or two. I spent more time making maps and scenarios for both “Age of Empires” and “Starcraft” than I did playing it, and I spent all my years since then making games and learning about games as a craft. I’ve dedicated the majority of my last decade to making hard, punishing games. I love making and playing games that are both a test of skill and a world players can immerse themselves into. Time and time again, difficulty comes up as a subject in the internet discourse, and time and time I see various misunderstandings about how our understanding of games and difficulty interrelate. 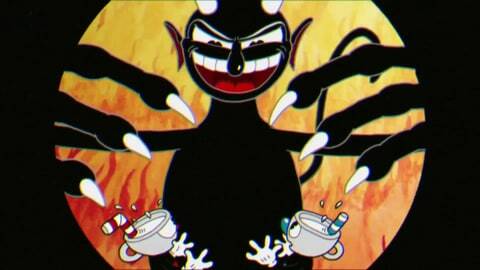 This time, two things happened at once: Ubisoft’s “Assassin’s Creed Origins” announced a tourism mode that has no challenge in it, and StudioMDHR’s beautiful indie release “Cuphead” was really hard. In the days around that, John Walker of Rock, Paper, Shotgun released an article arguing for skippable bossfights, and before you know it, games internet was on fire again. Seeing a lot of the discussion that flowed out of that, I thought it might be a good idea to explain your average developers’ view on difficulty, and the problems with the term. Games aren’t real. That might sound preposterous, but it is actually fairly critical to understanding why we’re having this discussion. Everything in a game is fake. It’s smoke and mirrors. A huge part of my job as game designer is to trick you into believing you came up with a solution on your own, and that you did a great job figuring it out, even though we’ve been signposting and carefully preparing you to figure out the solution for hours. One of the most critical parts of making any fictional work of media work is called suspension of disbelief. It basically means that, despite you being fully aware that something is not real, you’re going to pretend it’s real. In games, that commonly means that you’re going to believe that you’re a character, in a world, that can do certain things and needs to do complete certain goals. The game has make sure that it doesn’t “pull you out” of the experience. Bugs, animation clipping, texture pop-up, bad music transitions, different lines of dialogue talking over each other, bad writing – any noticeable reminder that you’re sitting at a screen damages that suspension of disbelief. What’s important to note here is that we, as creators, have no control over whether you grant us that suspension of disbelief in the first place – we can only try our hardest to help you maintain it. If you go into the most immersive game in the world with an intent to not believe it, no amount of effort or care we put into the game will make you suspend your disbelief. You will always experience it as what it is: most likely you’ll be someone somewhere experiencing a bunch of pixels on a screen and sounds from your speakers that you can change in ways defined by code and rules by using some sort of input. While developers do the heavy lifting during development, as a player you’re doing the heavy lifting while playing. The game is taking place in your head because the game is nothing more than computer code, rules, and assets. We create a game to make suggestions about where you are, what you’re doing, and why that’s important – and you, the player, you either accept or reject those. That world in danger? It only matters because you accept our suggestion that it matters. That quest-line? It’s only important if you accept our suggestion that it’s important. Your high score? That number might as well be any random value unless you choose to accept that the score the game assigns you and the high scores around you do matter. That doesn’t mean that suspending your disbelief is required to enjoy your games, with speed running being one of the most beautiful examples of that available. Speedrunners do not suspend their disbelief just so they can see the game for the giant computational machine it is. They spend days, week, or years trying to figure out how to manipulate that machine to go as fast as possible. In a way, they have created their own game, a game in which that time is the sole measure of success, and they’re now playing that instead. Whether you play “Grand Theft Auto” as a lawful citizen, “Dark Souls” without leveling up, a strategy game with the purpose of building something on every tile of the map, or an epic fantasy RPG as a pacifist farmer, you’ve created your own framework of gameplay and challenge. Many things people do in games might not make any progress, gain any money, or further any missions because the game code doesn’t acknowledge those actions in any meaningful way – but the game code does allow it. Basically, to you as a player, there really is no difference between whether you assign value to something, or whether we as game developers do and you accept it. When game developers craft games, they’re continuously thinking of what you as a player might do, and we then make calls about what behaviors we want to encourage, acknowledge, prevent, or reward. We try to limit the amount of ways you can break the game in such a way that it suspends your disbelief. But in the end, every game developer has to accept that our game is just a suggestion, a place we ask you to follow us into and that you have ultimate power over how much you care about our intent. In the discussion that’s been raging, one of the most common assumptions is that ‘difficulty’ is directly correlated to “skill,” and that “the one true experience” is -by definition- correlated to a certain level of skill and thus, difficulty. That playing a game on a higher difficulty is a truer expression of what a game truly is, and that lower difficulties are somehow less game. The reality is that difficulty – on any level, high or low – is an accessibility compromise. It’s a combination of a game’s ability to communicate goals (a game that doesn’t tell you where to go in a giant flat map with nothing on it is hard, but no fun), to communicate means (a game where the shoot button changes to a random button on your keyboard every time you shoot is hard, but probably no fun), and to deliver a challenge proportional to your ability to play. Flow theory describes that if you want a player to experience flow, that feeling of being immersed in a game, where time passes without you noticing, players need a challenge proportional to their skill level – preferably oscillating sometimes slightly above, and sometimes slightly below their ability to handle it. If the challenge is too high for someone’s skill, the player might experience frustration. If someone’s skill is too high for the challenge, the player might experience boredom. As designers, frequently the goal is to make sure that the challenges rise in difficulty at about the same rate as the player skill does. In other words, a mismatched difficulty stops players from allowing a suspension of disbelief, and they won’t believe the game. As an objective measurement, difficulty does not exist. Difficulty exists as a relative expression, a difference between the player and the game’s challenge. That means that when game developers think about difficulty, most often they think of difficulty relative to the player and the players’ assumed understanding of the game systems, goals, and means. It’s incredibly easy to make a hard game that requires extreme skill – most game developers would take less than an hour to create a simple platforming game in which the deadly spikes are only one shade of color away from the backdrop, and where you can only make the jump on one specific pixel, timed to one specific frame after spawning. The challenge of creating difficulty is in accessibility, because where a computer opponent doing nothing isn’t very fun, we could almost just as easily program a computer opponent that’s continuously spinning around at inhuman speeds to see all around it and still landing every single shot it could take with 100 percent precision, but that would be no fun either. When it comes to developing any game experience, the player is at the heart of it. In most games, developers make the game give you a good roll if your past few rolls were bad, we make your computer enemies always miss the first shot so you have time to respond, and we will count a jump a frame or five or six too late as a jump anyway. Our goal is for you to have an engaging time, and it’s more important to us that it feels fair than it is that it is fair. We’ll pretend things are harder than you believe just so you feel like you’re better at it. We’ll make the game less fair if that makes it feel more fair to the average player. Almost all games – whether it’s an obstacle-less experience or a masocore unfairly difficult platformer – are secretly rooting for you. Richard Bartle, the creator of one of the earliest massive multiplayer games, “MUD1,” suggested in 1996 that there’s a map of player archetypes, a grid on which most players fit in terms of behaviors. Bartle’s taxonomy of player types is now commonly considered outdated, but it still holds an easy-to-digest example of how designers and developers think about players. He divided a grid into two axes: Acting to Interacting, and Players to World. People that acted upon players were called ‘Killers’, and they like to blow up stuff. People that acted upon the world were called ‘Achievers’, and they play a game to achieve the goals set out in the game world. Those with the goal of interacting with players are called the ‘Socializers’, and they play games for the social aspect – whether talking about the way their stories played out with friends, or playing cooperatively online with others. Finally, those who interact with the world are called the ‘Explorers’, and they play a game just to explore, uninterested in the quest or purpose of the game. According to Bartle, most players fall in one or two of these categories and develop distinct skillsets and interests when playing games. More importantly, they also define the goal of a game differently, meaning fun and difficulty relate differently to them as well. For a killer, the difficulty comes from giant potentially optional- bosses, while for an explorer, it is in climbing that one mountain in the corner of the map. When cheats and easily accessible console commands disappeared, most games folded player styles into the difficulty. If you wanted a more chill, exploratory game – or you just cared about the story, you played on easy. If you wanted a more frantic, killer game – and you cared about challenge – you’d play on hard. We’ve only recently somewhat come to understand the implications of folding these two separate ideas into one value – and many games are trying to separate them out again. Mass Effect allows players to choose from Narrative, Balanced, or Action gameplay styles before choosing a difficulty level. As our understanding of player styles and difficulty continues to grow, games have grown to be more varied and diverse than ever before. As is common in this fast-evolving medium of games, developers everywhere are experimenting with the subject, even as we’re left with some of this odd relic of difficulty selectors. In no way does that mean that hard games have to offer an easy mode, or that easy games should offer a hard mode. It just means that there are many game experiences that could be enjoyed by more people. The best news is that the more freedom players have in fine-tuning their experiences, the easier it is to create more extreme versions of a game – whether those are much ‘easier’ or much ‘harder’. And sure, there are games where the difficulty is the point. Where the lack of obstacles is the point. Where a singular experience for every player is the point. It’s important to remember that, as creators, we own our game and what we want it to be. As long as we’re comfortable with the idea that as soon as we release it, it’s no longer ours – it’s up to the player to stick with us or to mess around in whatever way they wish. Games might be fake, they might be smoke and mirrors, but in our imagination – in our heads – they can turn into something that can stick with us for life. To me, it seems only fair to try and make sure as many people as possible can access what is within, and carry those experiences in their heart.